Preheat oven to 400°F. 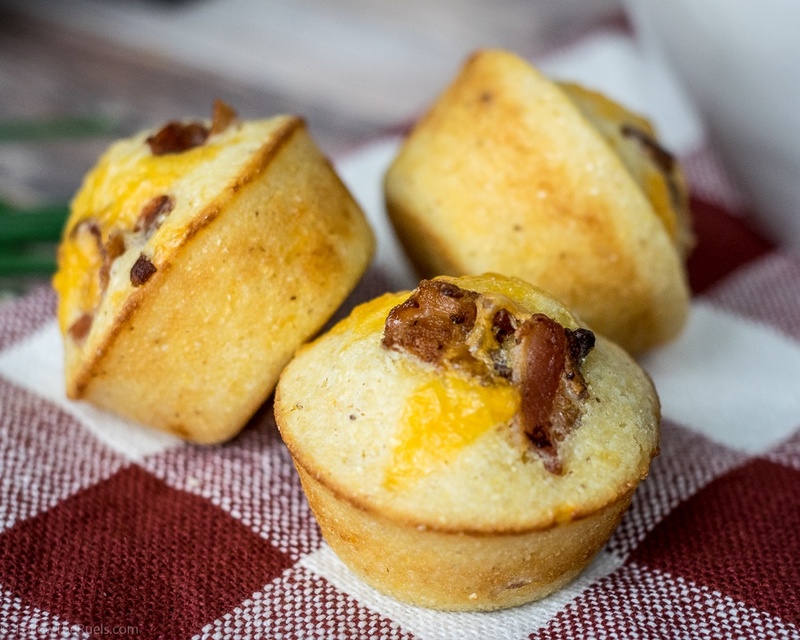 Spray a muffin tin with non-stick spray or wipe down with the extra bacon grease. In a large bowl, whisk the butter, milk and egg until combined. Add in the cornmeal, flour, sugar, baking powder and salt, and mix until just until just combined, the batter may still be lumpy. Fold in the bacon bits and the cheese. Pour batter into the muffin tins and bake for 15 to 20 minutes, or until a toothpick inserted into the center comes out clean.